My favourite LGBTQ* books of all time? This is a very difficult question. But I think that everyone who’s friends with me might know what I’m gonna say now. 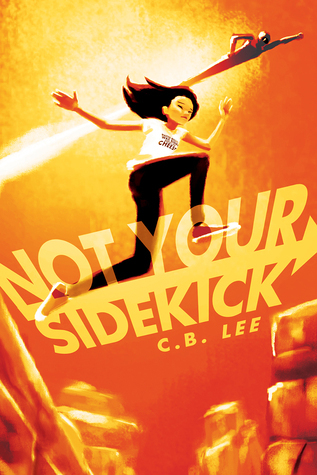 That’s right folks: Not Your Sidekick by C.B. Lee. I might be biased because the protagonist Jess Tran as well as the author herself are Am-Vietnamese-Chinese and bisexual. Besides that, the plot and world building are so amazing. And don’t sleep on Jess’ friends and family, you guys! I love these characters from the bottom of my heart and I can’t wait for the sequel. I think it’s time for a re-read. — Diep. INFJ. A petty Vietnamese Virgo who can’t live without music and can’t shut up about her favourite artists. A lover of flowers, nature metas and books. You can find Diep on Instagram. 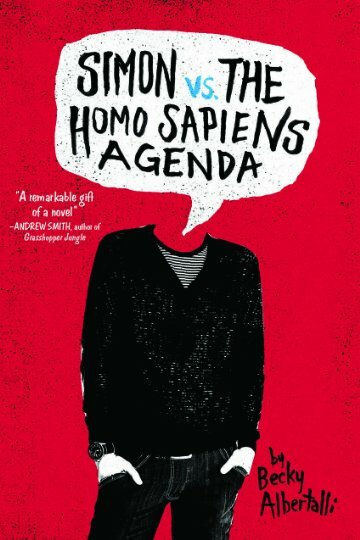 One book that means the absolute world to me is Simon vs. the Homo Sapiens Agenda by Becky Albertalli. This book came for me during a time when I was questioning a lot about myself, my identity and my gender. Simon vs. is a story about defaults. How straight, white, cis, allosexual people are typically the ‘default,’ and if you fall out of those lines you’re ‘othered.’ When you aren’t straight, cis, or allosexual, it can seem like your life has the potential to be one long coming out moment. Having to constantly explain your existence to other people, it gets tiring. And in Simon vs. Becky unpacks this. With how many people assume Simon is straight, and even going to far as to show Simon’s faults when he assumes things about Blue. It really is such a sweet story, with such an important message behind it. — Mason, you can follow them at Twitter. As a non-binary biromantic asexual teen, I’ve never really had one book that’s represented every aspect of myself, but I have read books that have represented different aspects of my orientations. 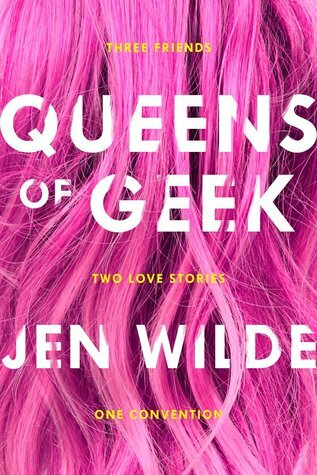 But I credit Queens of Geek by Jen Wilde as the first book where I saw myself. 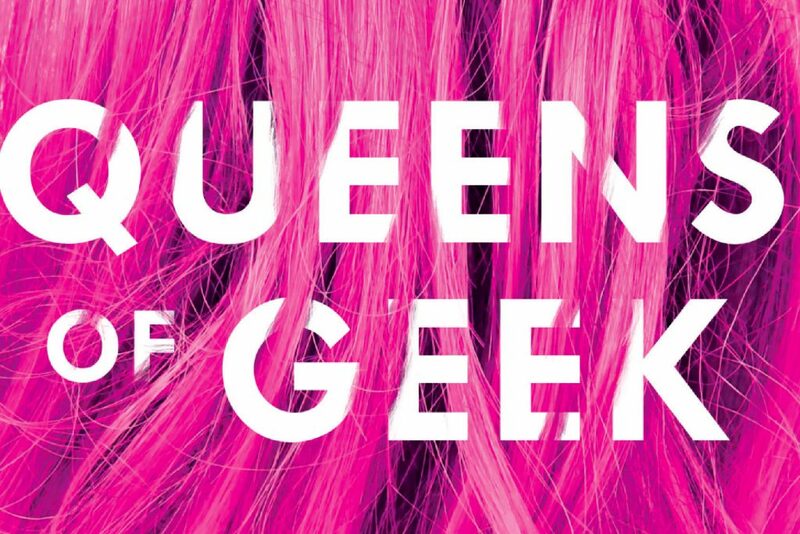 Queens of Geek features a bisexual MC, which I hadn’t seen before, but the importance goes far deeper than that for me. Charlie, the bisexual MC, is not only bisexual, but also an Asian-Australian, Chinese to be specific, youtuber. Though I myself am not Chinese, I am also not-white and I am a youtuber myself, so I felt that there was a lot of Charlie I saw in myself. The plot of the novel was relatable, almost every single one of the characters was diverse, but the reason I chose this novel is Charlie. I could see myself as her, I still can. It’s easy to assume that as soon as you read a book with a character that looks like you, you’re satisfied, but it’s more than that – having a character that you can truly connect to and relate to is seeing yourself in a novel. That’s the importance of representation. — Kav is a 15 year old nonbinary, biromatic, asexual, South Indian teen who loves fashion, books, and social justice. They are frequently active on Twitter and YouTube talking about a combination of book-related and social justice-related topics. You can often find them active on Youtube. HTMAW is basically the first book I’ve felt myself represented in sexuality-wise. I’m bisexual, and seeing Grace talk about her bisexuality is such an open and honest way? It really touched me. I loved how I felt like *finally* there was a definition of bisexuality that I saw like it could apply to me. In the book, Grace talks about how she’s never actually been with a girl but it still made her bisexual and it felt like it was me talking. Not to mention the relationship Grace has with Eva is completely wholesome and beautiful. Their stories aren’t even about their sexuality, and that made all the difference to me. — Marianne is a 21 year old book blogger who enjoys reading books with diverse narratives, especially if they’re queer or Latinx subjects. She’s from Puerto Rico, which means she lives 10 minutes from the beach but doesn’t go anyway. You can her mostly on Twitter. 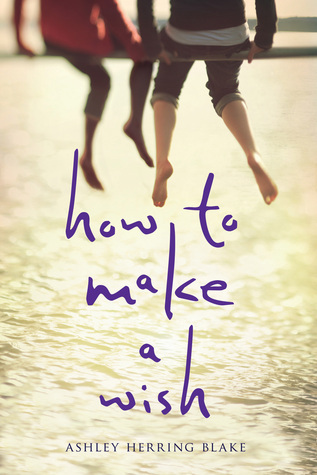 A LGBTQAIP+ book that means the world to me is How to Make a Wish by Ashley Herring Blake. It features a bisexual protagonist named Grace who is probably the most relatable character I’ve ever read about. I love this book because it touches not only a beautiful relationship between two girls, Grace and Eva, but it also touches intersections in marginalized communities; Eva is both a lesbian and biracial. I feel like this book was something I was waiting to read for a very long time. Its complex family dynamics and wonderful representation of good, supportive queer love felt like a balm to my heart. I understand that difficult queer stories and coming stories are no less important and relevant in today’s literature but there’s something wonderful about getting to read about something as simple as two girls learning to love each other. — Camila (better known as Cam) is a 20 year old student/waitress who reads reads as a way of coping with the stress and complexities of life. She’s also a huge diversity advocate and likes to partake in a fair share of social activism so expect tons of rants. 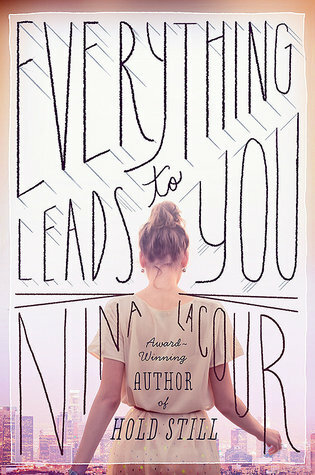 A book that really means a lot to me is Everything Leads To You by Nina LaCour. It was the first f/f book I ever read and the first time I saw a girl loving another girl in a book. The book was sweet and about the magical wonders of Hollywood and movies. Books about girls loving other girls are so precious and rare, and I’m so glad I found this one when I did. The book wasn’t about coming out, it was just about two girls who stumbled upon each other and fell in love. That together with a good old Hollywood mystery makes Everything Leads To You to a novel I’ll always love and cherish. This book wasn’t my last f/f novel (maybe not even the best, considering how many I’ve read since) but it was my first and there’s something special and meaningful about that to me. — Olivia is a book blogger on her blog Olivia Chanel’s Galaxy of Books. When she’s not reading or blogging she’s most likely on Twitter, binge-watching a show or eating a dessert. I read this book during the very early stages of pondering my identity, paying attention to my values, and generally educating myself on social justice movements and such. I had no idea what the book was about before reading it. 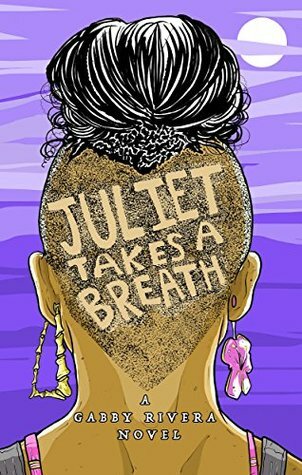 While Juliet and I don’t really share the same ID, her journey as a young feminist is what struck a chord with me. Being drawn in by personalities I look up to only to discover that their “well-meaning” behavior is actually toxic definitely related to my personal experience. It took me a long time to acknowledge the issues with white feminism and to learn what inclusivity really looks like. I’m still learning, and I’m still making mistakes, but this book was a pivotal part of that learning process. I could also relate to her complicated relationship with her family- I’m pretty close to mine, but that doesn’t mean I’m still in a place to come out to them or share parts of my life with them, because I know and still witness the casual -isms and such that they believe in, even if they don’t say it out loud. 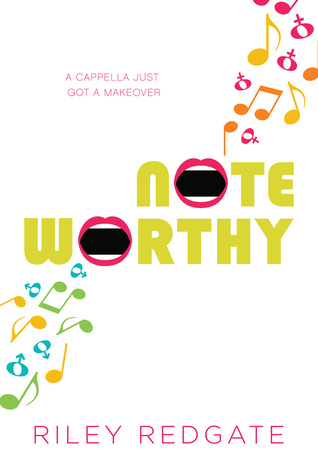 It’s definitely one of the first books that made me feel like I belonged in the queer community. It’s not a perfect book- the anti-Native statements in it are harmful and must be acknowledged. So, definitely keep that in mind when recommending it. For me personally, its one I keep going back to for comfort and hope. The books I chose were Noteworthy by Riley Redgate and Queens of Geek by Jen Wilde! Both of them have bisexual main characters, but they’re at different stages with their sexualities. Jordan, in Noteworthy, is just realizing her sexuality, but Charlie, in Queens of Geek, has known she’s bi for several years. I love reading about both experiences, especially because I kind of fall into both. And both books are so good and cute, you should check them out! — Michelle is a book reader, blogger, and reviewer. She can be found at Magical Reads or on twitter Twitter. It’s pretty hard to choose just one, but Fast Connection by Santino Hassell & Megan Erickson is special to me because it’s one of my favorite examples of bisexual rep in romance. Seeing a character like Luke (a bisexual man who is also a divorced dad to two teenagers) felt so amazing to me. To read about him being open with who he is and him being bisexual not creating some form of drama with his kids and his ex-wife, felt so amazing to experience. It felt good to witness the support he has from the ones who matter most even with the hardships in his past in result of who he is; it still gets me emotional when I think about it. I don’t get to see these kinds of experiences for bisexual adults in media much. Not to mention, it’s just a really great romance. — Alysia, I’m just a bi girl in her twenties who spends too much time online. If I’m not reading or watching kdramas, anime, & other tv shows during my free time, you can find me on twitter or check out the good (and not so good) things I’m reading on my goodreads.